Make rice! Click the ingredients to add them to the pot and turn on the stove! Click the pot to check if the rice is done cooking. 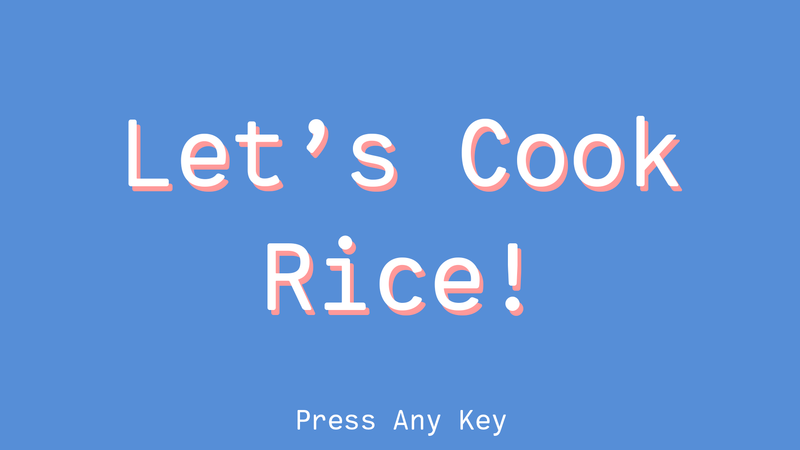 Rice cooks in real time, so make sure to check a recipe to see how long it might need to cook!